On Rainbow Lake! A Little Piece of Heaven! 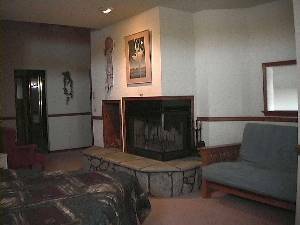 bedrooms, a private sleeping loft and two full baths. waterfowl and, at last count, six bald eagles. unique angles that offer the best views of the lake. 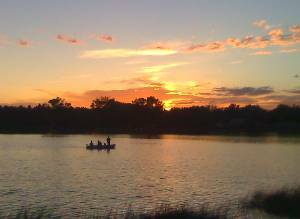 Picture taken from the lower deck of townhouse as fisherman try their luck at sunset on Rainbow Lake. 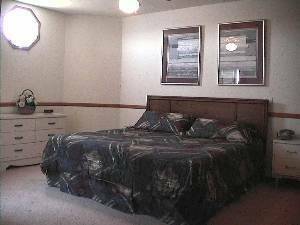 Downstairs bedroom with one double bed and one twin bed. 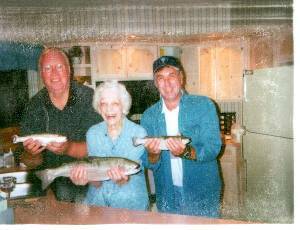 My 92 yr. old mother caught this 23" trout at Rainbow Lake! 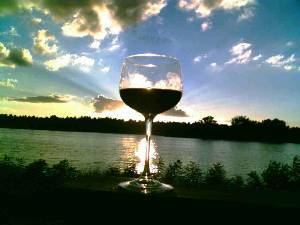 Enjoying a glass of wine while watching a beautiful Rainbow Lake sunset! 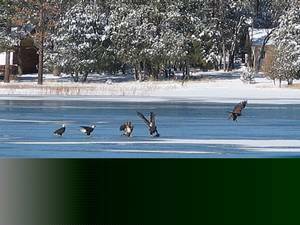 Taken from the back deck as eagles gather on the ice during the winter on Rainbow Lake. This is a NO SMOKING property! No pets allowed without prior disclosure and approval at time of booking. 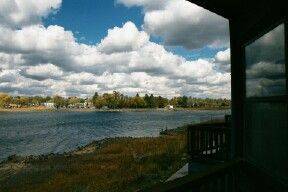 Call or Email for Holiday Rates & Holiday stay requirements. PayPal is the preferred payment method. Deposit: Security Deposit is due at time of booking. Final payment is due 30 days (90 days for holidays) prior to arrival. Cancellations and Refunds: Cancellation Policy: Deposits are fully refundable if written notice is received 30 days (90 days for holidays) or more in advance of arrival date. No refunds inside of 30 days (90 days for holidays) unless we are able to re-rent that time. No refunds for early departures. Other Fees: $250.00 Refundable Security Deposit.